When you travel for outcalls, do you find yourself making multiple trips to the car and back just to haul in all of your equipment? Do you forget to pack important items? 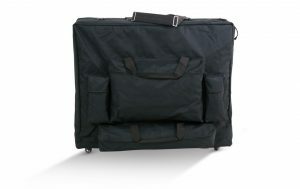 Keep all your essential equipment and accessories in one place with a deluxe massage table carry case. The extra storage space is perfect for therapists on the go, allowing you to store bolsters, linens, lubricant, and other supplies all in one place—which means you’ll be less likely to forget something and you’ll have fewer items to carry in separately. As a mobile therapist, your environment changes everywhere you go, which means you may or may not have a convenient place to set your massage oil or lubricant. 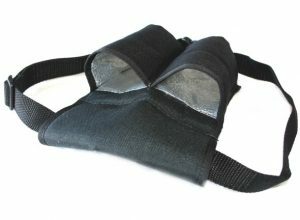 With a massage product holster, you don’t have to worry about where to set your lubricant. You can keep it at your side, ready for use at all times. The product holster is compact and folds for easy storage in your deluxe table case. As a mobile therapist, you face unforeseen challenges and inconveniences with every new appointment. Take some of the uncertainty and hassle out of outcalls with these three massage accessories for the mobile therapist. 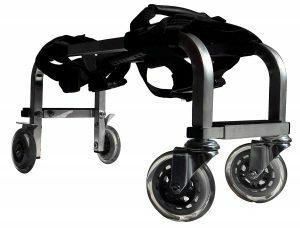 One of the biggest hassles for professional out call massage is carting your massage table and supplies around to various locations. While you may be able to convince a few of your regular clients to purchase their own massage tables, there are several practical accessories available to make your job easier.